"the Conservatives with 29% of the vote won 12% of the seats" I think it should be 22% of the seats, that's what it says in your table. Really interesting analysis. Thanks again Kevin. 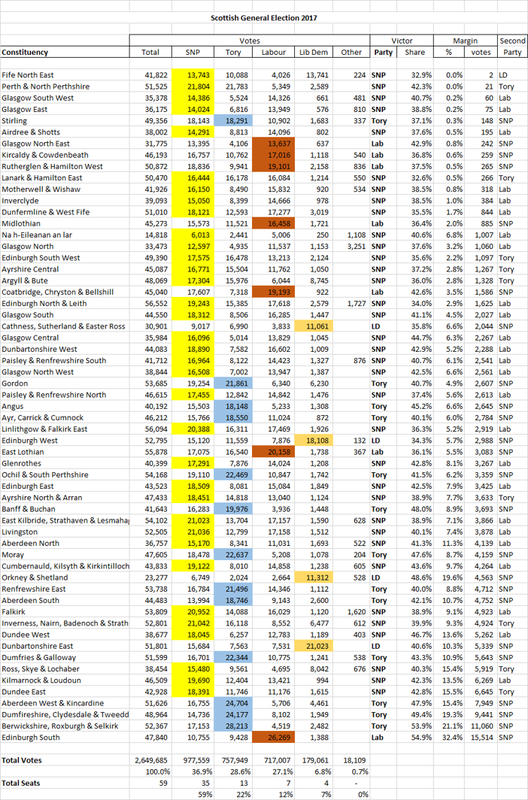 The most extraordinary numbers for me are the comparators between SNP and Conservatives in 2015 & 17. 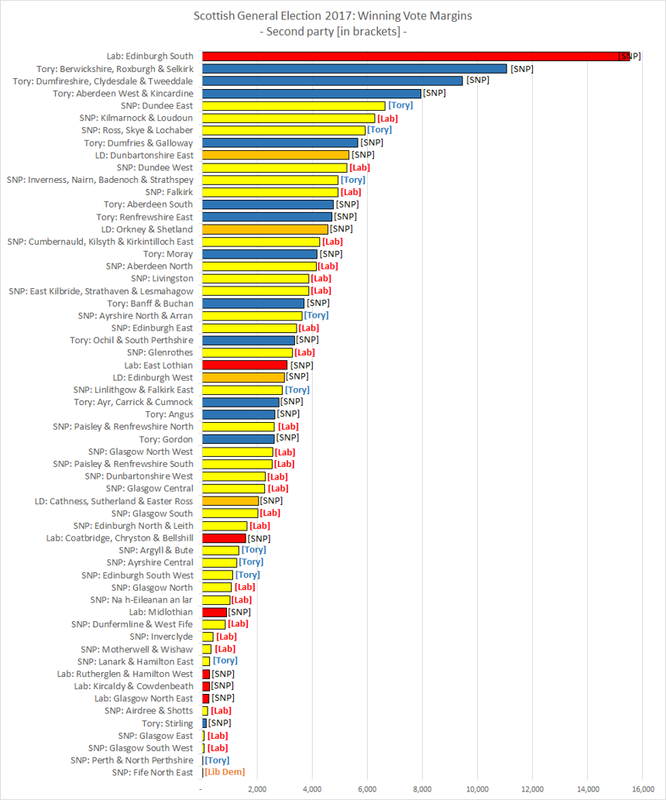 In the former the SNP attracted 1.02 Million votes more than the Conservatives. In 17 it dropped to just 220,000. Makes it more difficult to argue Scotland doesn't get the UK Government it wants. 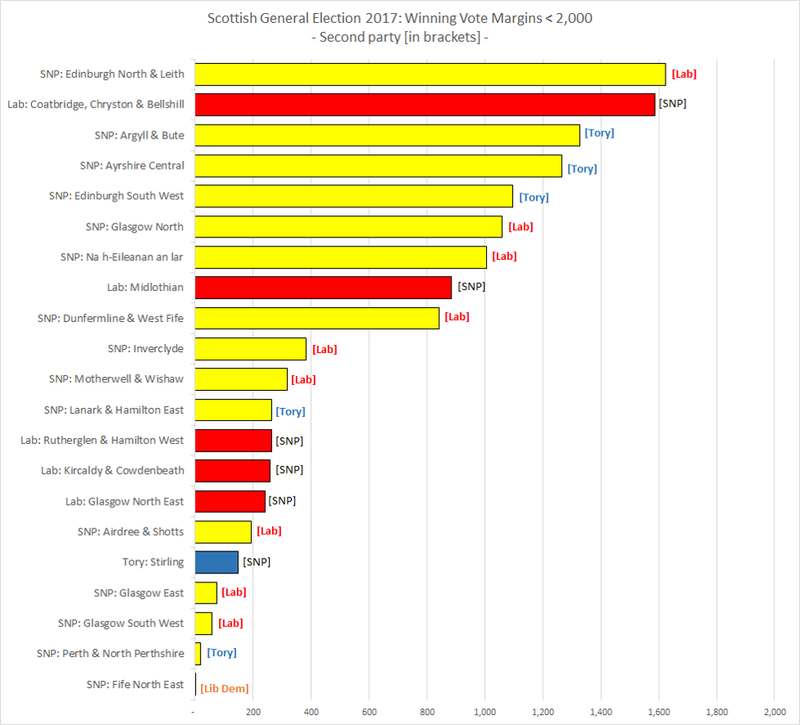 An interesting statistic is that the Tory share of the Scottish vote (28.6%) is higher than the SNP have achieved in any general election other than the two in the last couple of years (50% and 36.9%), and the 1974 election (30.4%). The Unionists have a spring in their step for sure in Scotland and they deserve to celebrate their recent revival in fortunes and the sharp decline in fortunes of the SNP, after having to endure the SNP win 7 straight national Scottish elections in a row as the largest share of votes/seats counted (including councils, Holyrood, EU elections & 2 General elections). The power brokers the DUP are likely to ensure Unionism is given a pretty loud megaphone in UK politics too. The chief weapon Scottish Unionists have is of course the Barnett formula and the fiscal transfer Scotland enjoys from the UK Government. But how strong a basis is that for sustainable economic development in the long term? Belfast used to be the main economic powerhouse of the whole of the island of Ireland at the time of Irish independence in the 1920s, with 80% of the industrial output centred around Belfast. However the Irish Republic now comfortably outstrips Northern Ireland's overall economic output ten times with 15 times more exports than the North thanks to the ability to pursue their own fiscal and economic development, while the North is heavily reliant on subsidies from London. 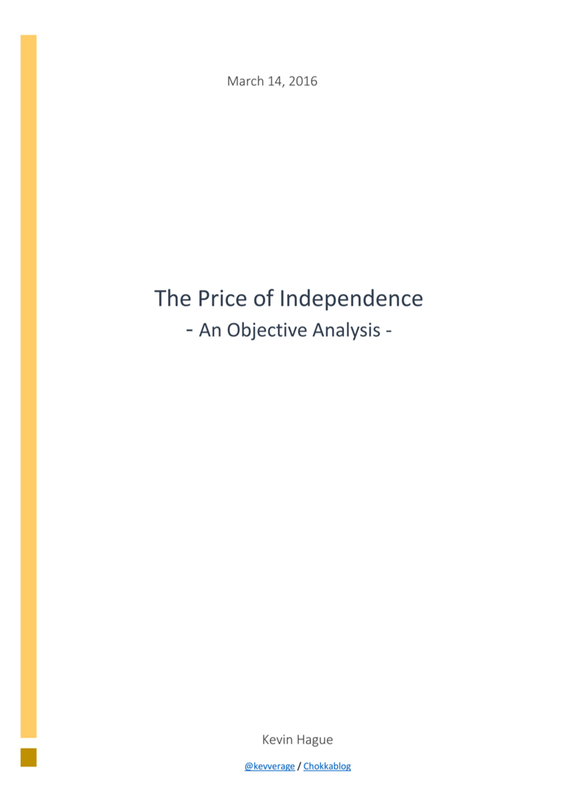 While the North's economic problems are very much a product of The Troubles, there is no doubt Irish independence has been an economic success story, despite the usual ups and downs experencied by most other European countries in the last decade. The North's economic prosperity looks even more uncertain after Brexit, so much so that a border poll may become economically more attractive. Scotland too awaits the same fate as Northern Ireland, a future ever more increasingly reliant on Barnett and fiscal handouts from London, with an ageing population lacking the opportunities, skills and population boost EU migration brings. Scotland is the second most subsidised region of the UK after Northern Ireland and the problem is getting worse not better. Politicians of all colours need to have a radical rethink about our economic policy because hand outs don't work.